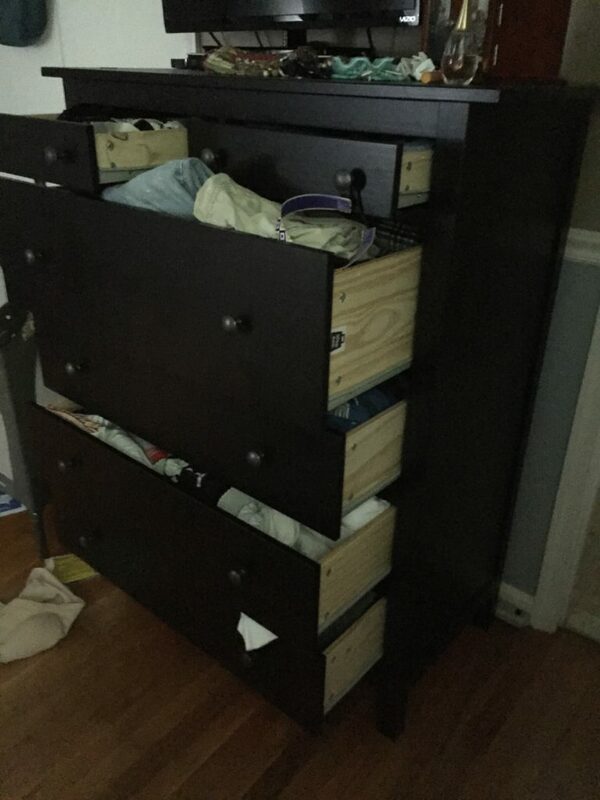 At least the dresser was bolted to the wall, because otherwise that was clearly an accident waiting to happen! One year ago, we had a 9-month-old baby who still woke up 4+ times a night and we were woefully sleep deprived. We had been living in our house for less than 3 months and every room still felt like a complete mess. Pat was gone every non-work day renovating Drew’s kitchen. Even considering those factors, this sight just put me over the edge. What happened to my organized life? 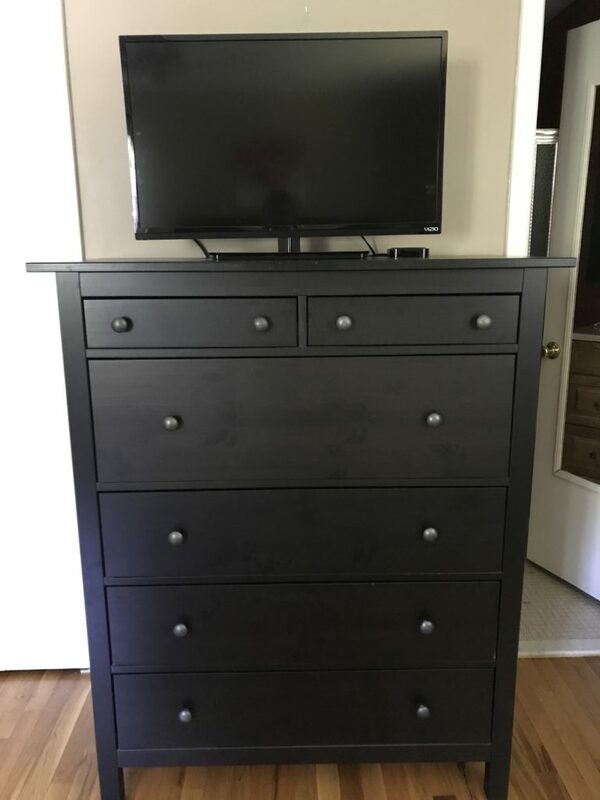 Here is our dresser today. Yes, we are people with a TV in the bedroom and I am not sorry. No, this is not a Pinterest-worthy beautiful pictures with stylish accessories. But, it is clean and tidy and that was the first goal! 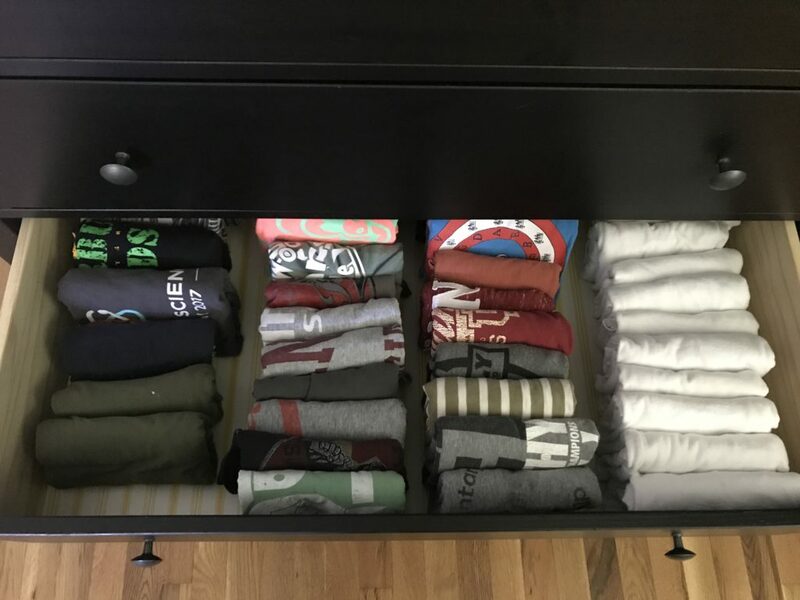 When organizing the drawers, I Mary Grace-folded the T-shirts. 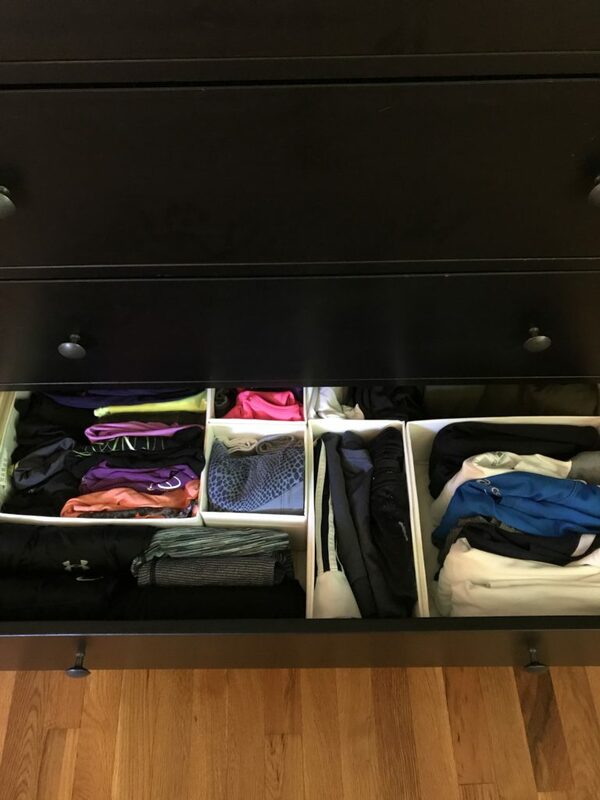 All of the work out clothes are nestled neatly into their IKEA drawer organizers. As are Pat’s pajamas, pants, and shorts. I’ll spare you the undies, but they are tidy also 😊. 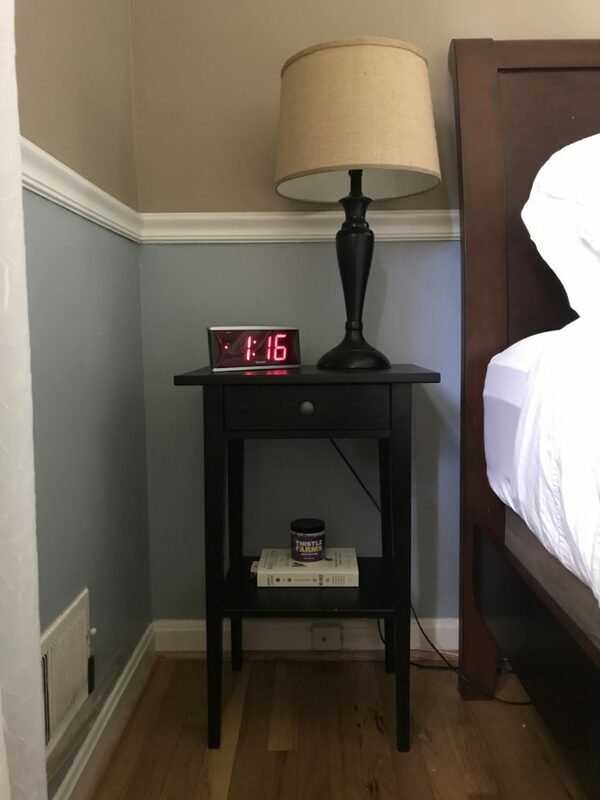 While I was working on this room, I gave a once-over to our night stands. These little guys are puny for the bed, and I’d love to upgrade them one day. For now, we are just going to take care of what we’ve got! I know, I know. There are lots of things to still address in here. Cords are an eyesore. The walls are still the terrible color they were when we moved in. This room is a total aesthetic disaster, but we’ll get there. For now, I want to just organize what we have. 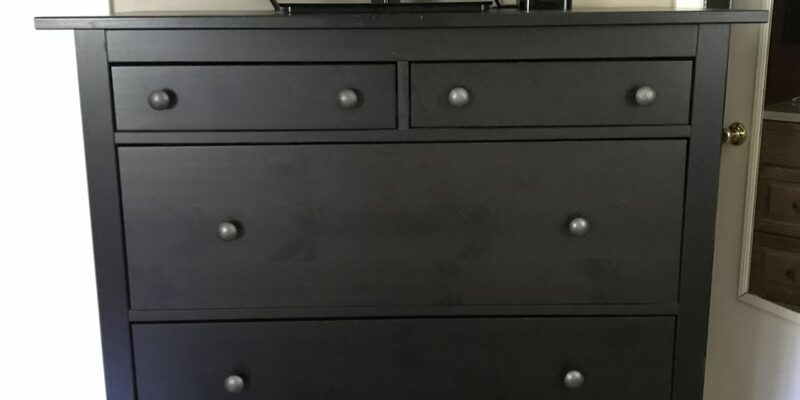 Speaking of night stands, there tends to be so many random things accumulated in here. 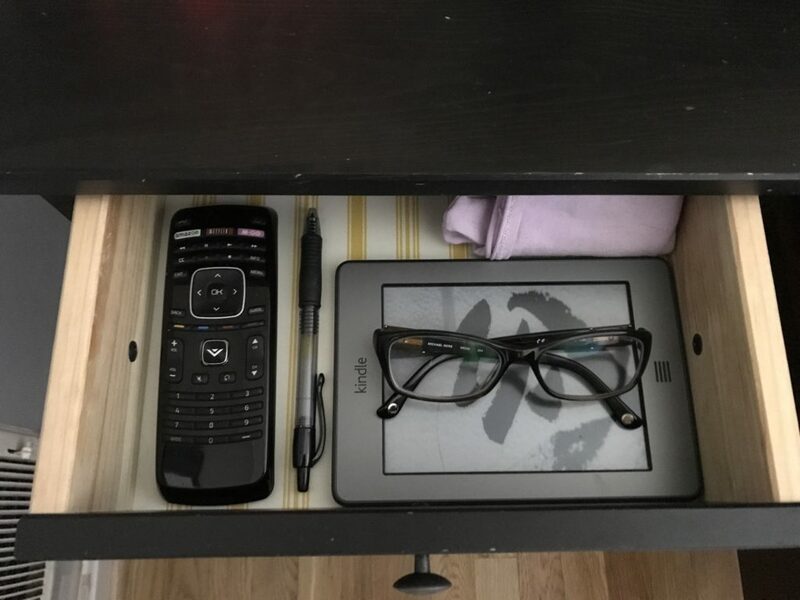 Of course there’s the normal stuff: lip balm, reading glasses, a book or two. But then there’s random stuff that finds its way in! Like rubber bands, buttons, USB drives, money clips, and COINS. I have been on a coin mission lately and have been spending all of the spare change I can find around the house. Even if I pay with a card at the grocery store, I use the change in my purse so I only charge an even dollar amount. Though that might be borderline weird, it seems to annoy the cashiers less than paying $8.62 all in coins. After a month of this “mission,” I am happy to report that all of the change in our house currently resides in my wallet! 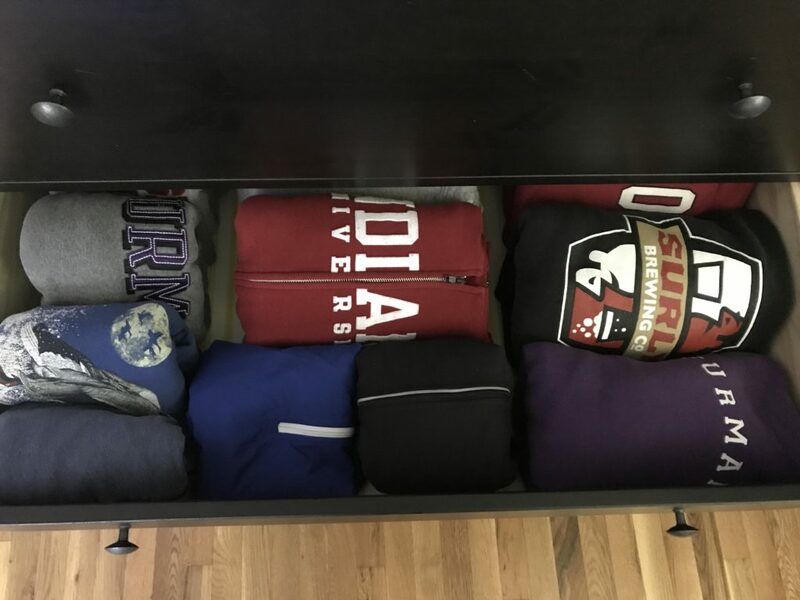 How are your dresser drawers looking these days? 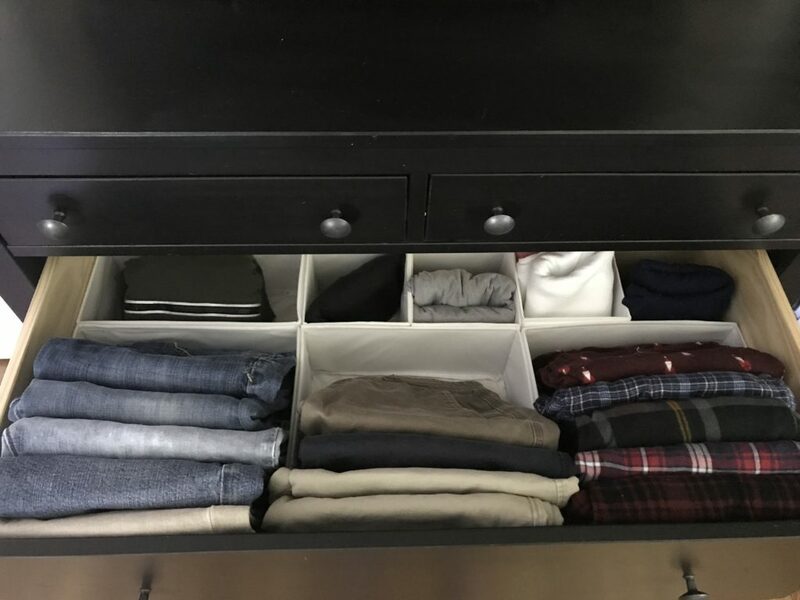 Anyone tried the MG fold yet? Are you ready to just dump everything out and start over? Who are the change hoarders out there? Do you take it to the Coinstar unit at the grocery store and cash it in periodically? Or are you a really serious coin hoarder collector that has an entire carboy full of metal money?